Thirsty? Drink responsibly. Do your share in saving the environment by having a single water bottle rather than purchasing bottles upon bottles of mineral water. The Dopper Water Bottle ($20) is a practical choice with this in mind. Not only is it a water bottle, but its cover also functions as a cup – it’s two for the price of one. Plus, it’s stylish and BPA-free (no harmful chemicals). 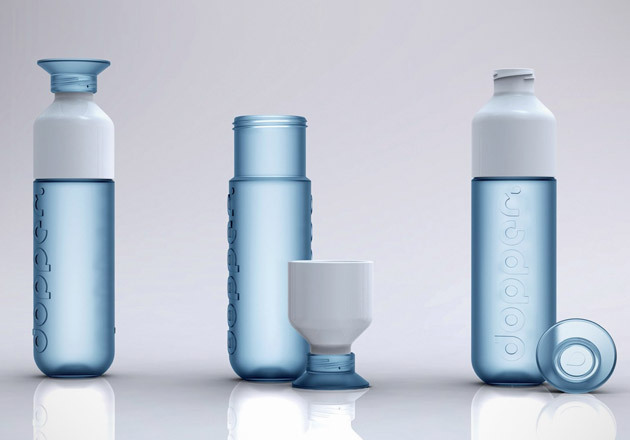 So the next time you go to the gym or the office, go green and drink from a Dopper Water Bottle instead.